A road trip is the best adventure one can have. But sometimes it can be a boring chore with a constant “Are we there yet?”, every 5 minutes. Your Goa or Pune to Malvan Road Trip shouldn’t have this fate of course. After all, Malvan is a beautiful place full of history and untouched greenery. So, don’t let your trip to Malvan be a sequel to some boring journey. Read on to find out 5 things you can do to on your road trip to Malvan. So the next time you head out on the Maharashtrian highway from Goa (or otherwise), you can be rest assured that it will be a ride to remember forever. If you plan on taking the slightly longer way to Malvan via the western ghats, you’re almost guaranteed to see some stunning wildlife. Leopards, Chitals (Indian Spotted Deers) and many more are no stranger to these parts of Western Ghats. If you’re really really lucky, you might just spot one of the 110 tigers left in Maharashtra. Monkeys of course are more than happy to jump onto your vehicle at a moments notice. Sights like these are commonplace. Especially during the monsoons. A short detour can serve you some of the most cleanest and untouched beaches in Maharashtra you’ve ever seen. You thought beaches in Goa were pretty? Wait till you see these. Devbag Sangam, Bhogave and Nivati – These are some of the more prominent beaches you need to visit en route Malvan. Some beaches here are so isolated that even Google Maps didn’t bother indexing them. Ask a local, you never know what you might get to explore. And if you do find a new place, don’t forget to upload a picture on Lokaso App to help other fellow travellers too. 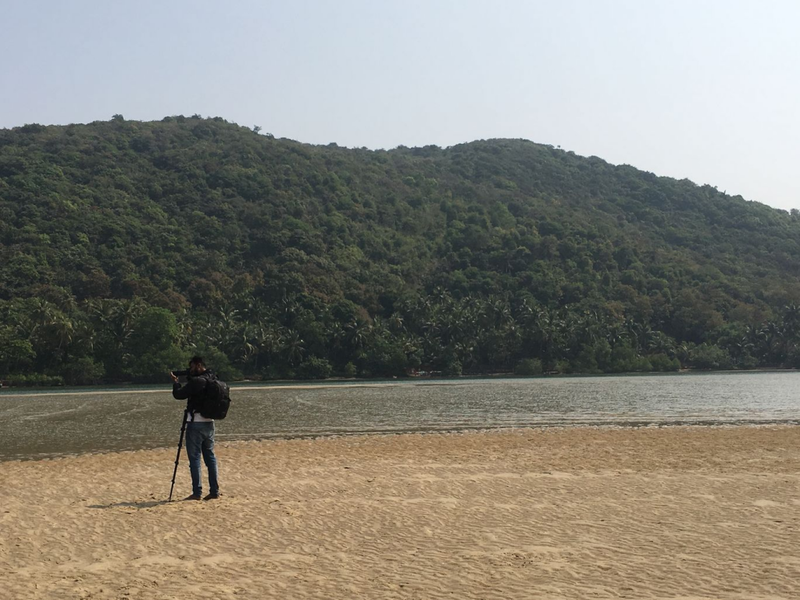 A vivid traveller named Arun has a great picture compilation on their trip to Malvan, check it out here. Ah yes. The humble Vada Pav, Mirchi and cutting chai – You can’t get more simpler than that during your road trip to Malvan. Return to a more rustic time by sitting and chatting over a Chai in the pleasant hillside weather of Western Ghats. 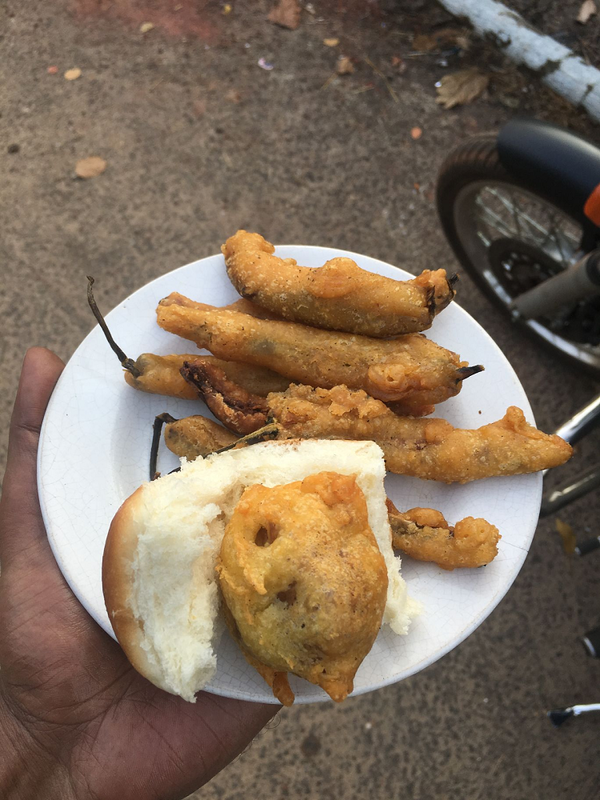 Nothing tastes as good as this warm roadside Vada Pav. Period. As a part of Konkan, Vengurla is a heaven for seafood lovers. Local households supply food to some hotels too. 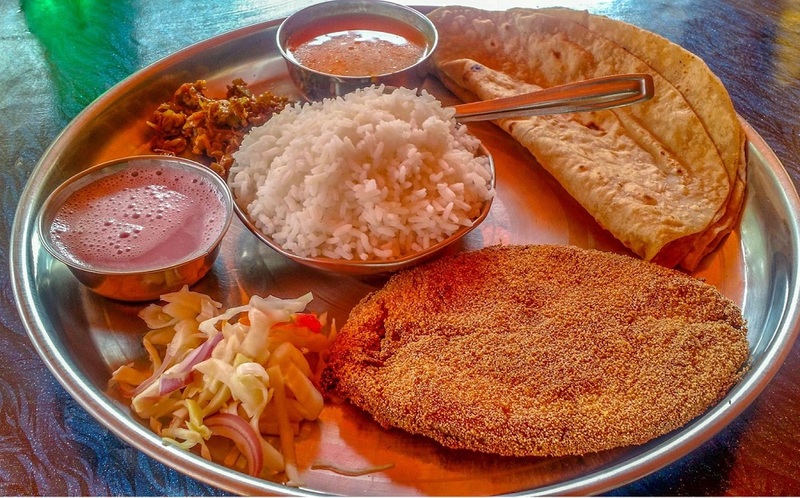 They cook authentic Konkan food and they use coconut in most of the dishes. Anyone who has eaten a lot of Goan seafood can easily tell the difference in both. That being said, this Vengurla feasting is something you should not dare to miss during your Road Trip to Malvan. The local fish here also tastes different from the ones you get in Goa. Even though they might be the same kind. Prawns and Pomfret dishes are highly recommended. Don’t forget the Sol Kadi of course. Maharashtra is home to some of the planet’s oldest temples. Some with ancient flawless architecture and intricate design. While others are hidden away deep in the interiors of Maharashtra, known and visited only by locals. 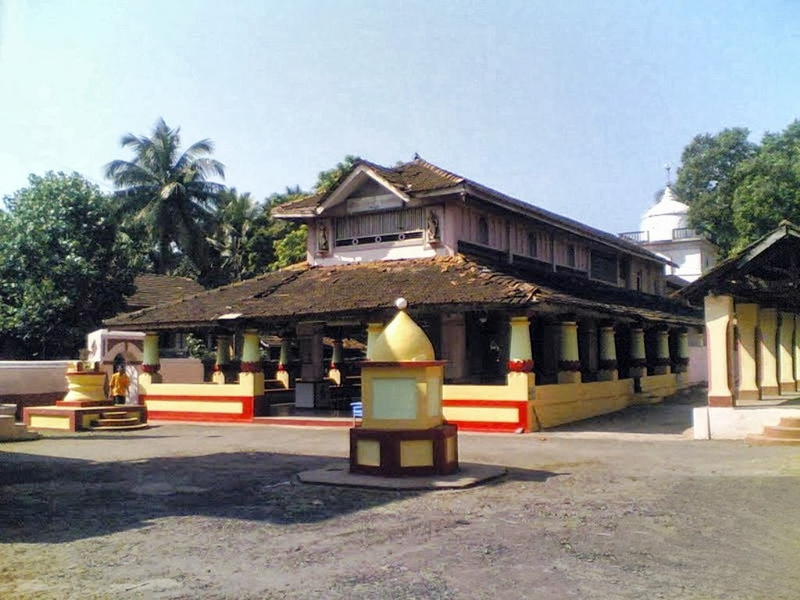 NH 4 passes alongside some very lovely temples indeed, Maruti, Shantadurga and Hanuman to name a few. Keep an eye out and be sure to pray for a safe journey. 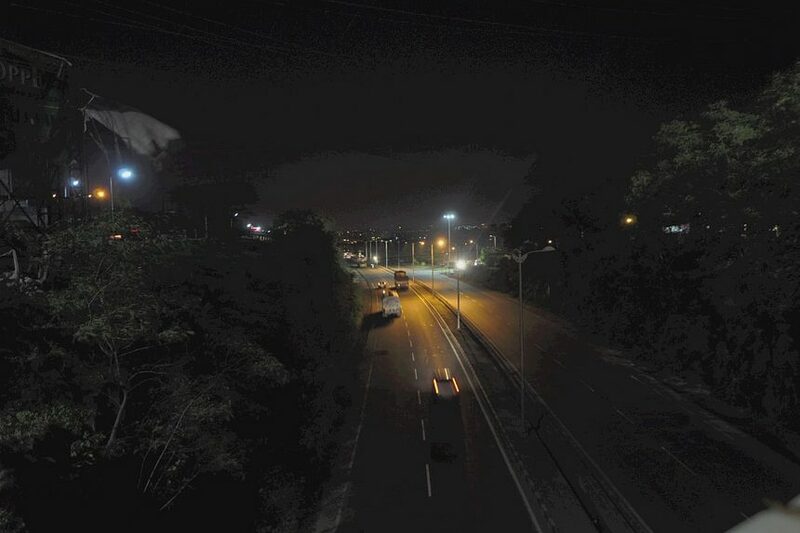 Driving along the creepy roads late at night with friends is a great way to have a very chilling yet different kind of perspective of Maharashtra. What’s all pretty in the morning turns to a night worth reciting next to a campfire in the distant future. 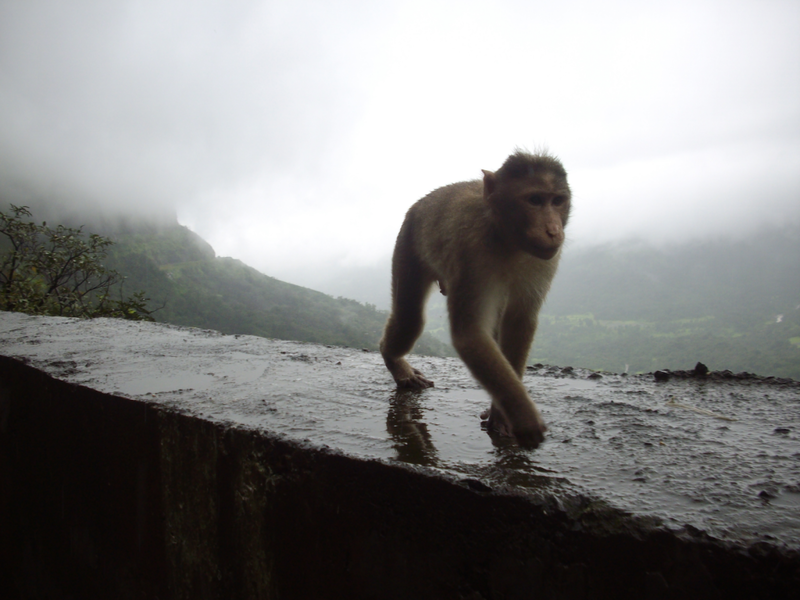 The western ghats are particularly known for their uncanny encounters. With many people advising not to carry meat and never to stop for anyone on the empty highways.